I’ve just returned from my once yearly summer trip to Maine. I have family there so it’s no-brainer to go there in the summertime. Next year I swear I’ll go a week or two later though because for the last two summers I’ve been there too early for blueberry picking. Blueberries rule, so next year I’ll plan better. Maine is a gorgeous state. The land is beautiful and many of the buildings there have lovely architecture. And the culture there, at least among my family and friends there, is very oriented around art and creativity. I think we discussed art or dance or film or music at least once every single day. And more than half the people I know in Maine are artists. It’s refreshing for the soul to hang out with people who can hold up their end of a conversation about the merits of color field painting. I really miss living near a vibrant art scene. But Maine, at least where my family lives in the mid-coast, is also really WHITE. White as in the color of people’s skin. And that feels really, really weird to me. And it feels wrong. It makes me uncomfortable to go day after day without seeing anyone who is anything but white. The exception to Maine being white is the city of Portland. Whenever I’m in Portland, Maine for even 2 minutes I’m struck by how diverse the people are there. The city has a large immigrant population and it seems you can’t walk 5 feet there without hearing some language other than English come out of someone’s mouth. It’s refreshing. And a quick glance at the local papers shows that there are vibrant art and music scenes there too. I’m not sure I could do the Portland winter, but every time I visit Portland I ponder whether or not I could live there. Today the Obama administration lifted the travel restriction for Cubans traveling to Cuba from the U.S. This will have the effect of helping to cut bribe-taking in Mexican Immigration in Mexican cities with direct flights to Cuba. Under the old rules Cubans who wished to travel from the U.S. to Cuba more often than they were allowed to under U.S. law would commonly try to bribe Mexican Immigration officials to prevent the officials from stamping their passports with a second (and to U.S. officials suspicious) entry stamp. The typical scenario worked like this: A Cuban (or an American traveling illegally to Cuba) flies to Mexico from the U.S. In Mexico their passport is stamped showing an entrance to Mexico via air on a certain day. Then the passenger generally travels on to Cuba the same day, on a later flight, never leaving the airport. Cuba is known to be ‘nice’ to people in this situation, so Immigration officials there do not stamp these passengers’ passports, leaving no record of their entry to Cuba. Returning to the U.S. the passenger flies back to Mexico where the Mexican Immigration official is required by law to place another entry to Mexico stamp in the person’s passport. U.S. Immigration officials know to look for two Mexican Immigration entry stamps within a short time frame, this alerts them that the passenger may have traveled from Mexico to Cuba. And so upon return to Mexico from Cuba it is very common for Cubans who reside in the U.S., and for Americans who have traveled to Cuba illegally, to try to convince the Mexican Immigration officials not to give their passports that second suspicious Mexican entry stamp. As you can imagine, the convincing part often involves money changing hands. 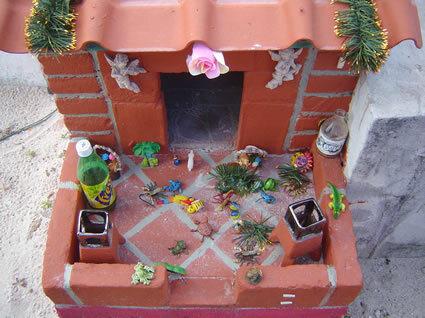 It’s hard to blame Mexican Immigration agents for taking these easy bribes. The passengers are often VERY interested in NOT getting that second stamp and are willing to pay well to avoid it. And Mexico doesn’t pay its Immigration agents a living wage. Currently the pay rate for most agents is something around $8000 MXP per month after tax (which is less than $500 USD at current exchange rates). With the cost of living here and that salary you can’t maintain a vehicle, let alone a decent home. People living on less than $500 USD per month here in Mexico can forget about anything except meeting their basic needs and an occasional stop at a street vendor for cheap tacos. There is no extra money in that equation, none. So it’s very easy to see why these poorly paid agents would be willing to take easy money from someone desperate to avoid having their passport stamped. 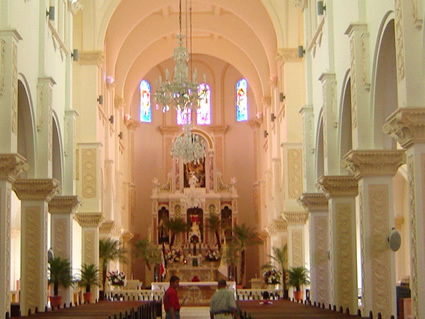 Taking a bribe is not without risk for an Immigration agent in Mexico. Agents have gone to prison for taking just a $20 USD bribe. But travelers rushing through airports are almost universally not interested in taking the time to report their abuse at the hands of Immigration officials. And if you are guilty of giving the bribe you are not about to turn yourself and the agent in, because you’ve received a benefit. So while there is a risk to the agents for taking bribes they know that their chances of getting turned in for bribe-taking are very small. The easing of the U.S. travel restrictions to Cuba will mean that the Cubans, at least, who travel through Mexico en route to Cuba, will have no reason to try to bribe Mexican Immigration agents. This is good. Other Americans, who are traveling to Cuba illegally will still have reason to avoid that second stamp, however. So the corruption will be reduced but will continue. Until such time as Mexico sees fit to pay its Immigration agents a decent salary, a salary that represents a wage that allows more than just subsistence living, many agents will embrace the easy money that is a side-effect of illegal travel to Cuba by Americans. For Mexico’s sake, it is my hope that the U.S. will completely remove the restrictions on U.S. citizens traveling to Cuba. This would completely eliminate a huge source of bribe money for Mexican Immigration agents. I also hope that the Mexican government will recognize that it can’t hope to fight corruption in Mexican Immigration until it pays those agents a decent wage. I want to share the content of an email I got today. I think it offers some words of wisdom and some important facts regarding the safety of travel to tourist areas in Mexico right now. Travel agents should be aware that the most noteworthy crimes are taking place in border towns including Tijuana and Ciudad Juarez and the city of Chihuahua. The most popular tourist destinations, including Cancun, the Riviera Maya, Los Cabos, and Puerto Vallarta, remain safe for visitors. 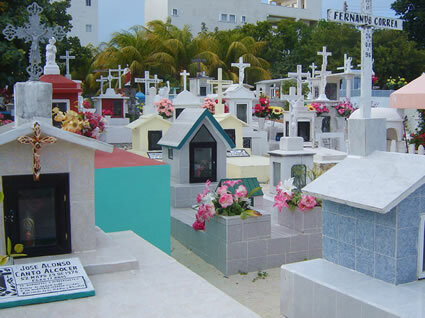 Mexico remains a safe tourist destination and this is reflected in the 22.6 million international visitors that arrived in 2008, of which 18 million were Americans. This number represents a 5.9 percent increase from the previous year. Tourists who suffered any incidents were minimal. The violence associated with drug trafficking is isolated in cities that are far away from tourism destinations. We suggest using common precautions as when traveling to any foreign country. Q: Is Mexico an unsafe place to travel? Mexico ranks tenth as an international travel destination in the world and is the number one international tourism destination for North Americans traveling abroad. Many tourists to the country are repeat visitors, which demonstrates that the vast majority of tourists are satisfied and leave with overwhelmingly positive impressions. Q: The travel alert issued by the U.S. State Department warns that even travel within the country beyond the border is dangerous. Should I just avoid traveling to Mexico completely? No. Common sense and proper precautions must be taken when traveling anywhere, and Mexico is no exception. Whether traveling on the border or if you find yourself in another area of the country, stick to legitimate businesses and tourist areas. Be aware of your surroundings and your stay should be a memorable and safe experience. Mexicoâ€™s frontier, like many other frontiers in other countries, at times experiences certain conflicts and those crossing border states should do so while taking the proper precautions. Q: Then what do you make of the U.S. State Department warning against travel to the border due to infighting among drug cartels? In Mexico, the possession and consumption of drugs and narcotics are illegal. The laws governing these offenses are stricter and the resulting fines and prison sentences are often harsher than those provided for in U.S. and Canadian law. The recent incidents involving drug traffickers have prompted U.S. and Canadian authorities to suggest travelers exercise extra caution when visiting certain border towns. It is important to note, however, that this temporary announcement does not advise travelers against visiting the many safe tourist destinations. In fact, Leslie Bassett, Deputy Chief of Mission of the U.S. Embassy in Mexico City, declared that the intention of the alert is to inform of the violent acts that are taking place in specific states of Mexico as well as in other nations. She clarified that in no way does this alert seek to negatively portray the tourist destinations. Q: Shouldnâ€™t everyone just avoid going to Mexico, with everything that is going on with the crime and drug dealers? Itâ€™s important to note that hotel occupancy in the popular destinations for tourists within Mexico remains strong. A report from the Secretary of Tourism elaborated this month (February 2009) shows the following: Cancunâ€™s hotel occupancy at 73%, Riviera Maya at 85%, Los Cabos at 69% and Puerto Vallarta at 78%. As the countryâ€™s promotion agency, the Mexico Tourism Board recommends visitors to contact our many offices for more information on the destination they are planning to visit. Drug dealing and possession are a social problem that every nation faces, and Mexico is no exception. Visitors can be confident that local authorities are working hard to apprehend all those who violate the law to bring them to justice. Q: What if something does happen? Will emergency services be able to help? Federal and local governments are constantly working on improving emergency services, not only for tourists but for locals, too. Visitors should take precautions if they have any pre-existing medical needs and speak to their doctors before they travel abroad. We are also working on raising the bar in our standards to that our guests are kept safe, such as de-legalizing open bars in areas known as Spring Break destinations. Hundreds of thousands of American students travel to resort areas throughout Mexico over Spring Break each year. The best way to enjoy their vacation without incident is to use some common sense to avoid dangerous situations. We encourage students to drink responsibly and be aware of the laws and regulations. â€œExcessive alcohol consumption and unruly behavior can lead to serious problems with Mexican authorities. Alcohol is involved in the vast majority of arrests, accidents, violent crimes, rapes, and deaths suffered by American students on Spring Break. Disturbing the peace, lewd or indecent behavior, littering, driving under the influence, drinking on the street or on public transportation, using public transportation without payment, or making obscene or insulting remarks are all considered criminal activities by Mexican authorities. Here’s a link to the full text of the U.S. State Department Travel Alert, please read it yourself. It is worth noting that in the past few weeks the Cancun Airport has seen record numbers of international flights arriving, the airport is busier than ever before with tourists arriving for vacation. I also want to point out that the exchange rate between the U.S. Dollar and the Mexican Peso is such that Americans traveling to Mexico right now can enjoy real bargains. Happy Thanksgiving to all my readers and pals out there. My internet connection here is unstable, so I haven’t been working and have barely been checking email. But maybe this is good, it gets me to go out and have fun. Anyway, enjoy Turkey Day if that’s something you partake in. In San Jose, Costa Rica there are driving restrictions to cut air pollution. Cars with license plates that end in certain numbers can’t be driven on certain days within the city. We rented our car on Tuesday night and drove to San Jose for the night. But our car could not be driven in San Jose on Wednesday!! So come Wednesday we had to sneak out of the city without being seen by the cops (we made it). The car we rented was a 3-cylinder Suzuki. It wasn’t powerful, but it got great gas mileage, even in the mountains on those crazy windy roads. The only problem with it was this it wouldn’t go uphill when we picked up those hitchhikers…we had to only go down. Driving around San Jose the first night, looking for our hotel, we almost hit the same indigent crazy, half-naked woman twice. And once when we stopped for directions we saw her a third time, and she asked for money. Our hotel in San Jose had a Casino across the street. Casinos are common there. Our hotel also had a homeless woman camped across the street, near the casino. Just like in Mexico lots of people ride motorcycles and scooters in Costa Rica; unlike Mexico they nearly ALL wear proper motorcycle helmets (the kind that can save your life if you have a wreck). Most homes have metal roofs, even middle and high class homes. 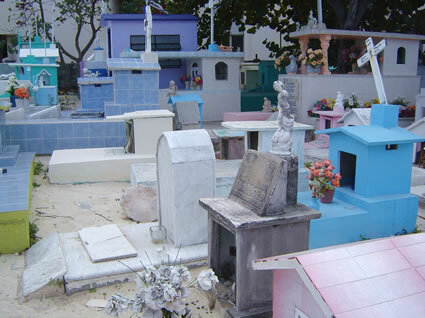 In Mexico metal roofs are usually seen only on lower class homes. Outside of San Jose we saw an old white-haired man holding two big bags of groceries and hitchhiking. We saw him get a ride too. While we were there the average temperature was 77Â°F (25Â°C). It rained each afternoon and was sunny the rest of the time. It was perfect. We saw lots and lots of wood, people used it in construction and they used it nicely. The quality of the workmanship was high. It was often hard to take a photo in a public area without getting a garbage can or recycling bin in the background. We couldn’t find any dust. There wasn’t dust anywhere in any of our hotel rooms, not in the closets, not on the louvered windows or doors. We don’t know if the cleaners are that good of if there’s really no dust there. We saw lots of U.S. restaurant chains, Denny’s, McDonald’s, Burger King, Church’s Chicken and others. But didn’t see Starbucks, which is the only big one I actually ever set foot into. We drank the tap water. We went 5 whole days without buying or drinking bottled water. We stuck our glasses under the tap and we drank that water. After 6 years of drinking only bottled water it was GREAT! One day we followed a little sign at our hotel that said Catarata (waterfall). Turned out the trail was more like a mud-slide. It was serious class 5 down-climbing on mud and wet leaves. We were surprised by how hard it was but did it anyway, me in my flip-flops no less. Never did find that waterfall, though we did get to the Arenal River and had a great workout. From what we could see in road cuts and such, the top soil in Costa Rica must be at least 50 feet deep! Compare that to Cancun where top soil is measured in inches when it exists. We saw lots and lots and lots of people mowing lawns. We saw no one cutting grass with a machete (the way they do here in Cancun). The paved roads we were on were in good shape. One day I decided to count potholes. We drove for over 4 hours that day, my count was 4, and all were in the town of Naranjo. Metal window protections (bars) are common as are metal gates over driveways. People have the culture of protecting against break-ins. Not sure how much crime there is there. Once we came around a corner only to find that half the road (one whole lane) had slid down the road in a landslide. There were no signs, you just had to notice in time to swerve. On the main highway we saw buses stop to pick up passengers. They did not have a pull-off area, they just stopped in the right lane. They must get rear-ended all the time. Every single bathroom I saw in Costa Rica was spotless, from the Burger King emergency pit stop we made, to the airport, to random restaurants, to our hotels. The first thing I did when I got to Mexico was to visit the bathroom at the Cancun airport…eww! While we were in Costa Rica local Cancun TV show host Oscar Cadena was there as well. 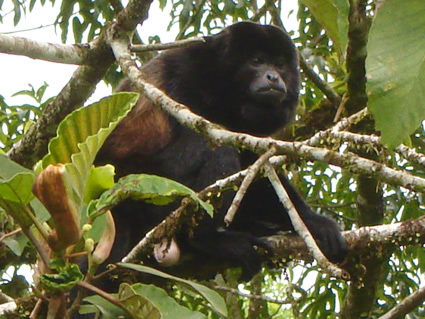 He and his film crew visited Arenal as well as other areas of Costa Rica. This week they are editing their Costa Rica footage and, so I’ve heard, will put their Costa Rica show on the air next week. We were told the show will appear on Unicable in Cancun (often channel 10) on Monday, September 29th at 5 pm. I have not been able to confirm this airing on any published TV schedules. But we heard this from someone in Oscar’s crew so the rumor source has merit. If any of my readers finds confirmation of this airing schedule please post a comment. I’ll be looking for the show next Monday at 5 pm. Until recently in order to fly to Costa Rica from Cancun you had to make a connection at another airport, but now you can fly direct from Cancun to San Jose, Costa Rica. The flight is less than 2 hours long. The company behind these direct flights is a Costa Rican charter tour company called Destinos TV. Destinos TV is bringing Costa Ricans to Mexico for vacation and also the reverse, they are bringing Mexicans to Costa Rica for vacation. Destinos TV arranged our trip for us including hotels and transportation (you can buy only a plane ticket from them if you wish). It took a little doing to get everything set. But in the end we decided to rent a car through them and drive ourselves where we wanted. Destinos TV also can arrange for group transportation (the group tour route) but we decided against that. Because our trip was so short (5 days only) and because of our flight times we spent the first and last nights in San Jose, which is close to the airport. Next time I do a trip like this I won’t stay in San Jose proper, instead I would stay closer to the airport in Alajuela. Our hotel in San Jose, the stately Hotel Balmoral, is smack in the middle of this busy city and is surrounded by one-way streets. Had we come in on a package tour, with a bus driver who knew his or her way to the hotel I think we might feel differently about staying in San Jose again. But we rented our car and set out for the hotel in San Jose thinking we had maps and the hotel address and that we would find the hotel without trouble. HAHAHA! We drove in circles for over an hour, always close but never quite finding just the right one-way street. The hotel itself, when we did reach it, was nice and comfortable. It has a decent restaurant/bar and the staff is really attentive. But I do think that next time we won’t brave the streets of San Jose. Our second day in Costa Rica we drove to San Ramon and then up into the mountains to La Fortuna and Arenal. The drive is lovely. Even though it was rainy and overcast it was absolutely gorgeous! We were completely in love with Costa Rica after just a few minutes on this road. Once near Arenal we found our hotel, the Hotel Arenal Paraiso. We would stay in this hotel again, and again. There was nothing not to like about it. It has hot springs on the property. It has a good restaurant and we enjoyed all of the meals we had there. And the view from our room, well, we came home with so many photos of that same view that I’m embarrassed. 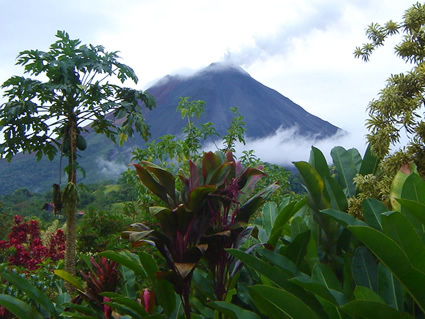 Every room at the Hotel Arenal Paraiso overlooks the volcano. And the volcano changes every minute. The clouds descend, then they lift; the light changes, then changes again; the volcano smokes more and then less. We had no choice but to take photo after photo of that volcano. What I didn’t realize until I got to Arenal was that the volcano is active, as in actively making noise. We kept hearing what we thought was thunder and finally found out that the noise we were hearing was not thunder, it was the volcano rumbling and rumbling. I’ve seen active volcanoes before (and I’ve even seen flowing lava from 5 feet away, which is an amazing experience), but I had never heard a volcano rumble before. All I can say is “Wow,” it’s really something to have the earth make all that noise, makes you feel like the insignificant speck in the universe that you are! The next day we set out to see the area. We decided to visit the Hanging Bridges first. We took the 2 mile hike that crosses all the bridges and fell in love with Costa Rica all over again. We saw no one else while we were on the trail, which made it more intense, it was just us in that rainforest. The hanging bridges are wonderful. Neither of us is scared of heights, I think if you were you might have trouble crossing the high bridges, some of them are way up in the rainforest canopy. I have a touch of vertigo and it came on while I was on the bridges but I found that if I kept one hand on the railing of the bridge that I didn’t get that vertigo disorientation thing. After visiting the hanging bridges we set out for an Arenal Volcano observation area, but soon decided it was cloudy enough that we wouldn’t see much. So we bumped our way up a steep, windy, bone-jarringly bumpy dirt road until we got to the Butterfly Conservatory. There we learned exactly how completely impossible it is to photograph butterflies. You can be looking at 20 butterflies but by the time you take the picture they have all left the photo area or closed their wings for a second, effectively disappearing from your picture. Christ, you could not pay me to photograph butterflies! We also saw the howler monkey in the photo above at the Butterfly Conservatory. He did not like us, not one bit. I think he is not so used to strangers. There were a few folks there while we were there, but they all worked there. I think the monkey knew we didn’t belong and wanted us out of there. So we obliged him and left shortly after he started haranguing us. On the way down from the Butterfly Conservatory we drove into a heavy rainstorm. It was pelting down rain so hard it would hurt your head if you were out in it. And then we came around the corner and saw two figures out in the rain with ponchos on, they were hitchhiking. We stopped for them (I have a serious case of rained-on hitchkiker sympathy). It turned out they were from Europe and were both backpacking around the Americas. Both of them were involved with CouchSurfing and after spending a few hours with them, and eating lunch with them we’ve decided to looking into CouchSurfing ourselves (I’ve been hearing about it for a while, so this was my tipping point). After meeting up with the CouchSurfers we headed back to soak in the hotel’s hot springs. I adore hot springs, having once gone on a hot springs tour of Colorado that took me to at least 10 different hot springs. There’s nothing like a good soak. And hot springs are great regardless of weather, it came be raining or snowing on you but if you are in a hot spring the weather is fine. The next day we made our way at a leisurely pace back to San Jose. This time we took the other road down, going through Quesada and Zarcero and finally spending some time in the town of Sarchi, which is known as a hub for crafts. This road was not quite so windy as the road up from San Ramon. But this road had something the other road didn’t have, trucks. It had big huge trucks and little trucks and busses and more trucks…and even cars. At least 7 times we came around a corner only to find a semi-truck bearing down on us from OUR SIDE OF THE ROAD! Husbandito remarked over and over that “the car accidents in this country must all be head-on collisions.” But he’s a great driver (learning to drive in a taxi cab in Mexico City will do that to you) and we were never actually in any danger, though I did scream a few times. All in all we absolutely loved Costa Rica. It’s infrastructure around cars and roads is not the best. The roads need shoulders. The trucks need emissions testing (they ALL stink). There are not enough road signs. But these things are minor compared to the enormous natural beauty that Costa Rica has. We will be going back, hopefully sooner rather than later. We returned from our (way too short) trip to Costa Rica on Saturday. But have had no phone or internet since returning, so I’ve been slow to get a blog post together (am stealing an unreliable unsecured wireless signal now). In short, we loved Costa Rica and will return. Costa Rica was never on my short list of must-see places. I was interested but had heard too much good about it, I smelled a rat, I figured it was over-rated, I figured all those people who were ga-ga about Costa Rica were, you know, brainwashed or something. When people in Costa Rica ask if you like their country they always continue the question with “do you find Costa Rica to be clean?” We saw almost no litter in Costa Rica. And people there are intensely proud of this fact. Over and over we saw workers picking up garbage, or rather they were walking along looking for the rare piece of garbage to pick up. And everywhere we went we saw recycling bins and trucks loaded with materials to be recycled. 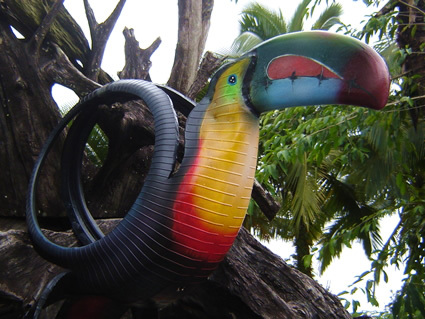 Costa Rica seems to have it’s garbage under control. And the sense of pride about this is palpable. You see poverty there, it’s a poor country. But the people I met were proud of what they do have. And they were proud of their land and their beautiful countryside. 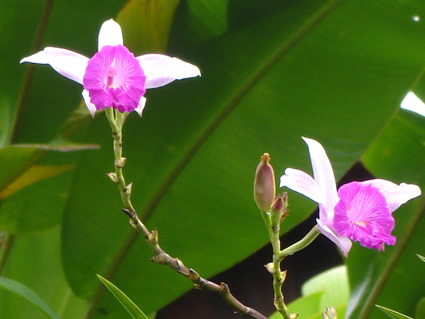 There is a sweetness in Costa Rica that I have only felt in a few places. I’m not sure how to describe it except that I felt that people didn’t have their defenses up somehow. Perhaps this was an artifact of my being relaxed and on vacation, but I don’t think so; I’ve been on vacation in lots of places and never felt this kind of peace in the places I’ve been. I think it’s bigger and I think it’s connected to the fact that Costa Rica abolished it’s army more than 50 years ago. Most people in Costa Rica have grown up having never lived in a country with a military presence. They don’t have enemies and they don’t put up defenses. It’s truly a peaceful country. That said, we did hear a local say that the Mexican mafia has a presence in Costa Rica and is trying to control the drug trade there. So obviously things in Costa Rica are as complex as anywhere else. Still I think that the fact that this poor country doesn’t spend money on military must be great for the government’s budget. I can only imagine what good could be accomplished with all the money the US and Mexico spend on their militaries. One thing I loved about Costa Rica was being in the mountains. I am not a flat-lander by nature and Cancun is difficult for me to live in partly because it’s flat here. 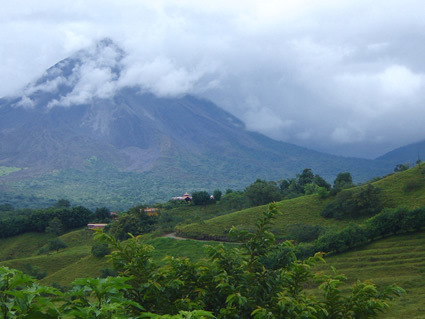 We spent 3 days of our trip in the area near Arenal volcano and Fortuna. And the trip up there and back was on windy, hilly, mountainous roads. We loved every minute that we were on those roads. Around every corner was an “oh-my-god-view!” We filled the digital cameras with photos, then deleted as many pix as possible and then filled them again. We simply could not take enough photos. Dear Readers, I have been neglectful of you these past weeks. As you know September is my (crazy insane) busy month. And so I’ve been celebrating it’s busy-ness by working on Saturday nights, working on both Mexican and U.S. national holidays, sleeping 5 hours a night instead of 8, working some more and by not blogging. But today it all stops. Today we pack the bags and find the passports and walk away from our lives. Today we fly to Costa Rica. But the best comment I’ve heard is “los Ticos no existen” (the “Ticos”, meaning the Costa Ricans, don’t exist). Apparently some visitors to Costa Rica feel there’s something lacking in the culture there. Well, I live in Cancun, where it’s easier to find a plastic surgeon than a bookstore, so you don’t need to explain a lack of culture to me. And it’s true that Costa Rica doesn’t seem to be known for its music or art or food or for its cultural traditions. 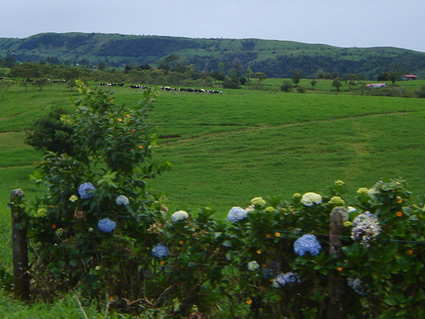 But other visitors to Costa Rica think of it as an ecological wonderland. Costa Rica has coasts on both the Caribbean and the Pacific and it has volcanoes and mountains of over 12,000 feet (3900 meters). 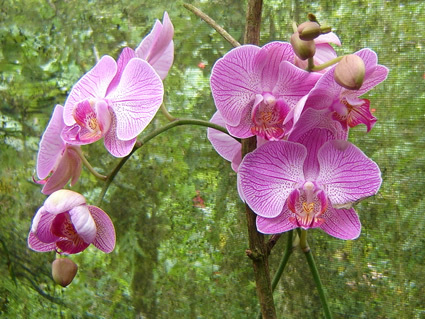 Costa Rica has only about 0.1% of the world’s landmass but it has about 5% of the world’s biodiversity. 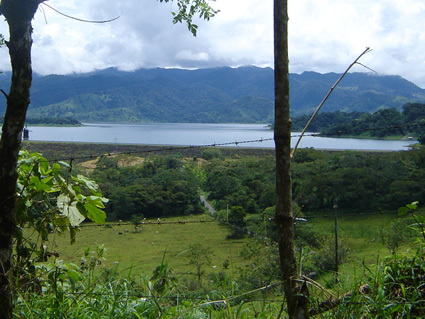 About 25% of Costa Rica is protected land. 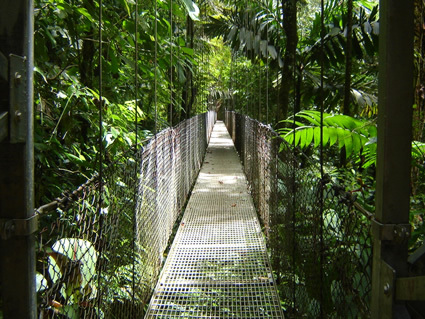 And Costa Rica has set a goal for itself to become the first developing country to become carbon neutral, a goal they hope to achieve by the year 2021. In learning what I have about Costa Rica it looks to me like the Ticos do exist. It looks like they are busy setting lofty goals, passing forward-thinking laws and protecting their land. Maybe that’s why they are not known for making music and art, maybe they are busy doing other things? Anyway, I won’t know if they actually exist until I get there. So I’ll let you know. Entries (RSS) and Comments (RSS). 32 queries. 0.629 seconds.